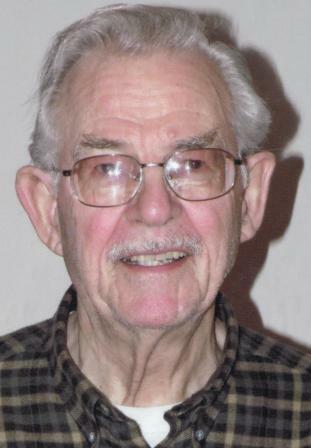 Warren James Albiston of Kamloops, BC passed away on December 29, 2016 at the age of 81 years. Predeceased by one brother and 3 sisters, Warren is survived by his devoted and loving wife of 53 years, Norah; daughters Karen, Cathy (Neil) Farber, Norma (Bryan) Koll; grandchildren Clayton, Tanner, Bailey and Jesse, all of Kamloops; and brother Stan (Marilyn) of Kaysville, Utah. Warren was born on December 11, 1935 in Kamloops. He grew up in Walhachin, the youngest of the five children of John and Gladys. He married Norah in 1963 and they raised their family on Dominion Street, next to good neighbours the MacKinders and the Gasparins, while Warren worked at the BC Land Titles office. He retired from there in 1995 after 36 years of service. Dad loved to fish and enjoyed tying flies and keeping detailed journals of his day on the lakes with his good fishing friend, Bob New. He also enjoyed hockey and spent many years following, travelling with and watching the Blazers. We would like to thank the wonderful staff of Ponderosa Lodge that cared for Dad. Private family arrangements have been made. In lieu of flowers, the family would prefer donations be made to the Alzheimers’ Society of BC. Condolences may be sent to the family at DrakeCremation.com. Most humbly do I pray. Warren. Our thoughts and prayers are with you all. Dear Norah, Karen, Cathy and Norma and families; we offer our very deepest and heartfelt condolences. May this part of your journeys reflect your loved ones greatest memories and stories. There is much freedom as he takes this spiritual journey. Know that you are cared for at this time. Simply put. We are so very sorry for your loss. Be well and be kind to one another. We are soooooo sorry to hear the bad news ! Warren was a very nice, kind person, who will be greatly missed! He is in a better place & at peace now! We hope all of you will find peace & comfort in time. Remember all the good times with him & hope that will help you feel better. Again, so sorry about your loss! So sorry to hear the news about our “Warnee”. That’s what we called him at the land title office. I enjoyed working with him for 20 years there — very nice man is what comes to mind. Will miss seeing him across the arena at the Blazers Games. We were saddened to hear Mr. Albiston, Warren, is no longer with us. Our deepest sympathies to you and your family during this most difficult time. Rest in pease dear Mr. Albiston. You are all being remembered in our thoughts.